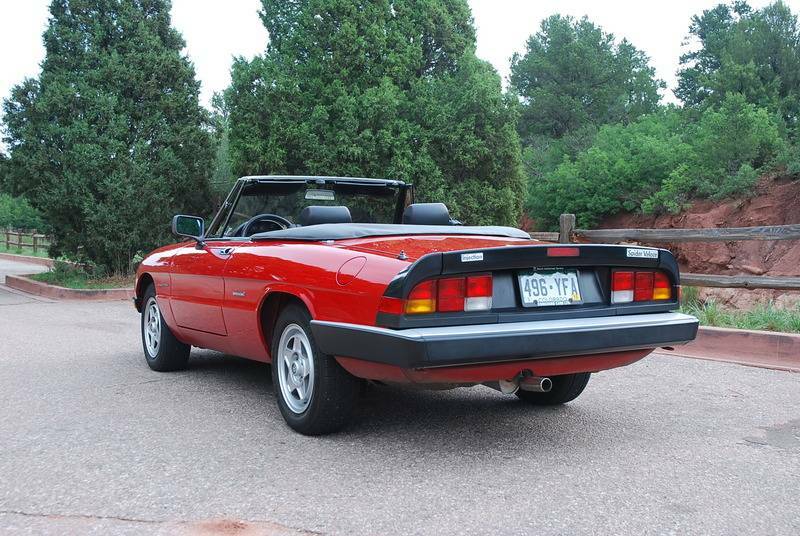 If you are looking for an enjoyable classic convertible – the Alfa Spider is a great choice. There is a reason they lasted from 1966 to 1995 with minimal changes. The aluminum 2.0 liter dual overhead camshaft engine is the direct descendant of the one first designed in the 1950s – again, a great design that has stood the test of time. This Spider is the culmination of those years of development, and judged by many to be a far superior car to many of the British convertibles of the period. 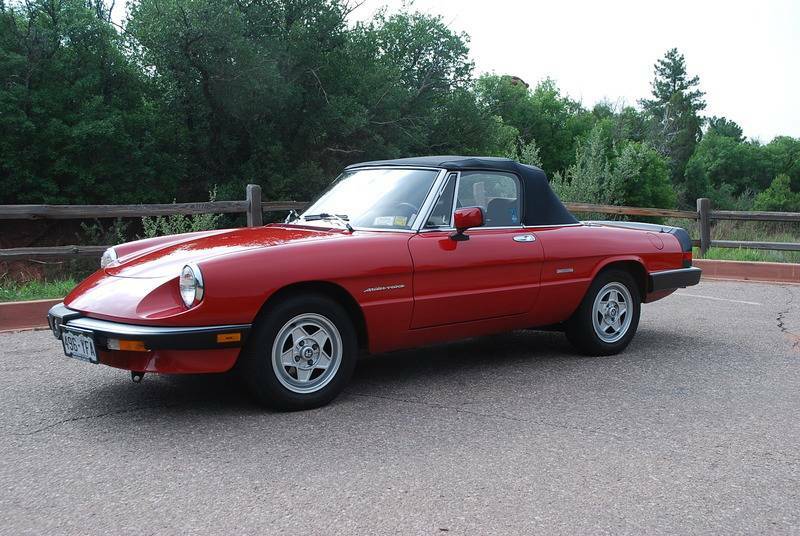 This is a ONE-OWNER, low mileage Alfa Spider. It was purchased new and cared for lovingly by a woman until she passed away at 93 years of age. It was stored inside, under a cover, and you can tell by looking at it. The body is in EXCELLENT condition, with absolutely no rust anywhere. The paint isn't perfect – there is some minor cracking and checking, and a few chips, but overall, it looks great, and most people would never notice the blemishes. The top is in good condition and works great, but does have some wear on the material. The tonneau cover is there as well. It only has 57,000 miles! Besides the low miles, the owner took care of the car – if it ever needed anything, it was done, period. I have the maintenance records back to 2007 and those come with the car. It also comes with the owners manual, factory introduction cassette tape (!) and warranty receipt from the selling dealer and service stubs, Alfa Romeo branded Rand McNally mini atlas, as well as the factory car cover that was used on it for years. Even the radio is the original Alfa Romeo cassette deck. 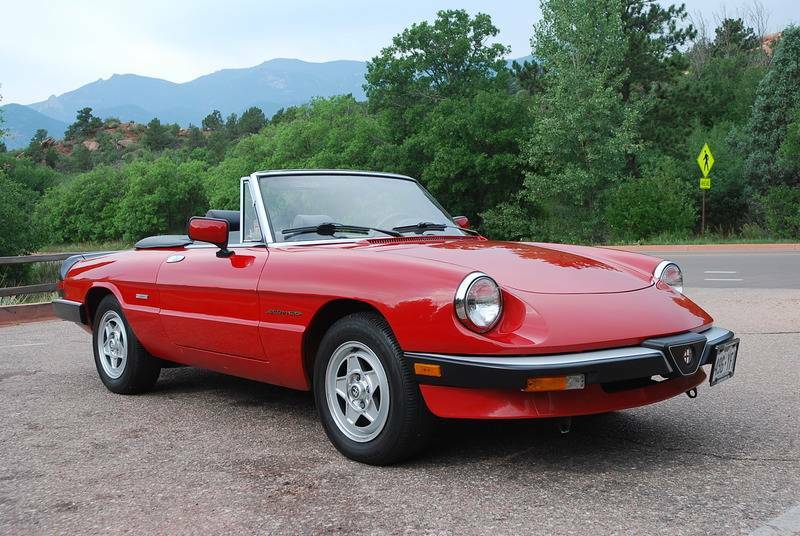 You might be able to find another Spider for this price – but I don't think you will find another one as nice as this, nor with the one-owner history and careful ownership. It drives wonderfully – nothing is worn out, nothing has been abused or neglected. The air conditioning still blows COLD! This car is ready to be enjoyed and cared for by a new owner. 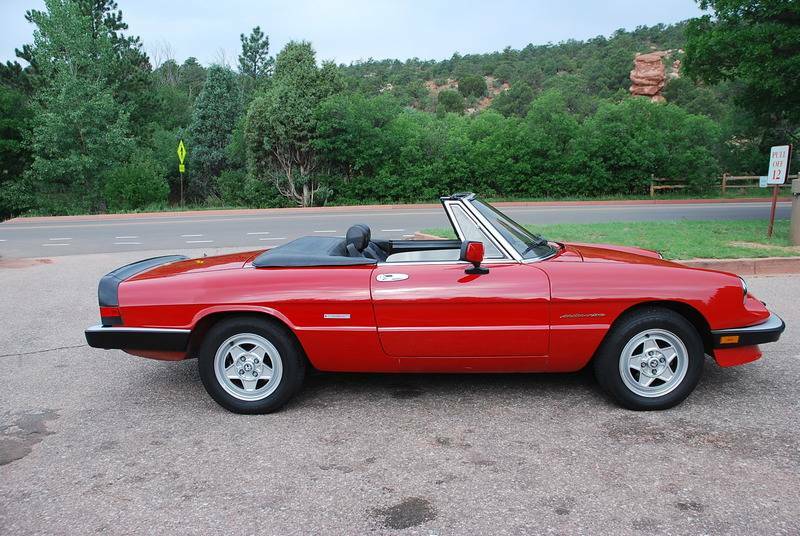 Don't miss this one – if you've been looking for a super clean spider, you'll regret it if you miss it.